Step Into Spring: Glossybox March 2015! Despite not completely loving my Glossyboxes recently, I decided to continue my subscription for a few more months before I decide whether to cancel it or not. Although I'd seen a few teasers as to what was in this month's box, I have to admit that I've been really with work so I haven't really paid much attention. But on the plus side, that meant more a surprise when it finally did arrive! This was probably the one product that I saw that Glossybox previewed before receiving the box and for once it's actually a skin care products that I'm looking forward to testing out! I really love the packaging of the cream and excited to see the results of the formula on my face. Pamper night is definitely needed! Yay! Another Essence product and what an adorable product it is! I really enjoyed the last mascara they sent me (Back in August last year!) and I love the look of this "cobra head-shaped" wand. I'll definitely be using this with my every day routine tomorrow morning! For aging hair? I'm 24! Thanks for making me feel old Glossybox! Either way I'm going to turn down free shampoo and conditioner! Although I really want to use, I'm really tempted to keep them for when I go on holiday next. Perfect hand luggage size! I love receiving new nail varnishes as I have to admit I never seem to buy any myself when I go out shopping. At first I wasn't that keen on the colour but once I applied to test it I soon fell in love with it and I definitely think this is a perfect Summer colour! Normally I don't go for the bright red lips look so I'm not sure how much I'm going to like this product. In the short description for this lip paint, it does say you can either apply on it's own in different strengths (faint or "very-in-your-face") or even mix it together with another lipstick so at least you're not stuck with just one use of it. Personally I don't see the point as I suppose you could do this with any lip products but I will still give this a go regardless! Overall I'm really loving this months box and I'm super excited for next month's box! The little teasers for April look amazing so I definitely think I'll be staying with Glossybox for a little bit longer! I'm not usually a fan of beauty subscription boxes but this seems pretty decent. I love travel size hair products, they make going away for the weekend so much easier! Happy Monday, darling! Never heard of Glossybox before. Thanks for sharing! Look forward to hear more about them! 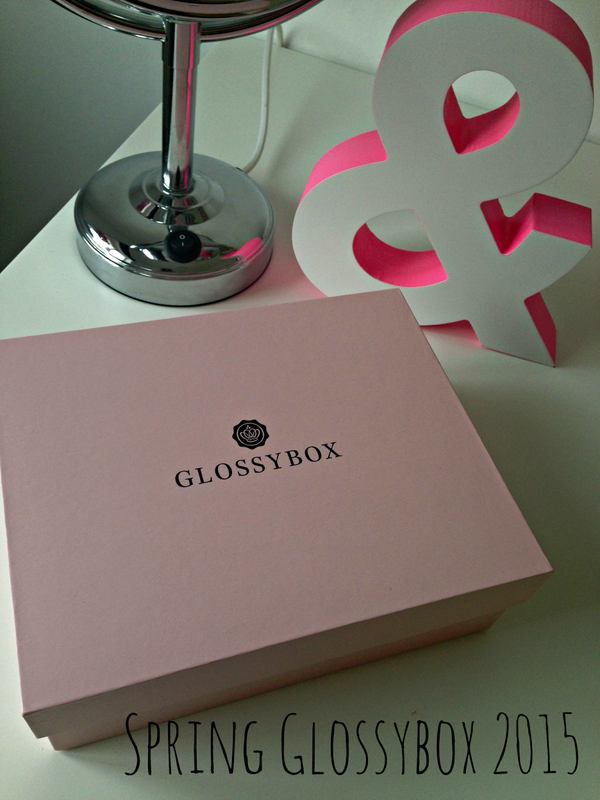 I still haven't tried out Glossybox but I love their packaging and have heard only good things! What a great beauty box. I love seeing different brand name products in different countries.